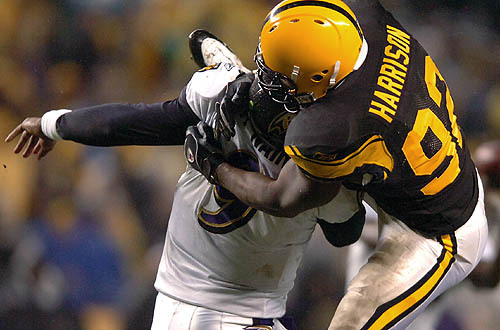 Have the Steelers even thought about bringing in a guy like Marvin Harrison? Nobody has made him an offer, and his asking price should go down. Not to mention that he can't play anymore. Hey, maybe you should mention the 6000 people that showed up at Temple West's spring game on Saturday. I'm sure all you Adam/Penn State haters were there thought, cuz you're diehards. Maybe you should fish for internet flame wars some more, because you're not a douche. Adam please stop trying to create a nonversation. Someone needs to teabag you so you will STFU.